Sasheer Zamata during The Final Sasheer Zamata Party Time at The Bell House on Sunday, July 15, 2018. Emmy Blotnick during The Final Sasheer Zamata Party Time at The Bell House on Sunday, July 15, 2018. Liza Treyger during The Final Sasheer Zamata Party Time at The Bell House on Sunday, July 15, 2018. Wyatt Cenac during The Final Sasheer Zamata Party Time at The Bell House on Sunday, July 15, 2018. Sasheer Zamata, Liza Treyger, Emmy Blotnick, and Wyatt Cenac during "Two Truths and a Lie" at The Final Sasheer Zamata Party Time at The Bell House on Sunday, July 15, 2018. Anya Marina during The Final Sasheer Zamata Party Time at The Bell House on Sunday, July 15, 2018. Sasheer Zamata closes The Final Sasheer Zamata Party Time at The Bell House on Sunday, July 15, 2018. 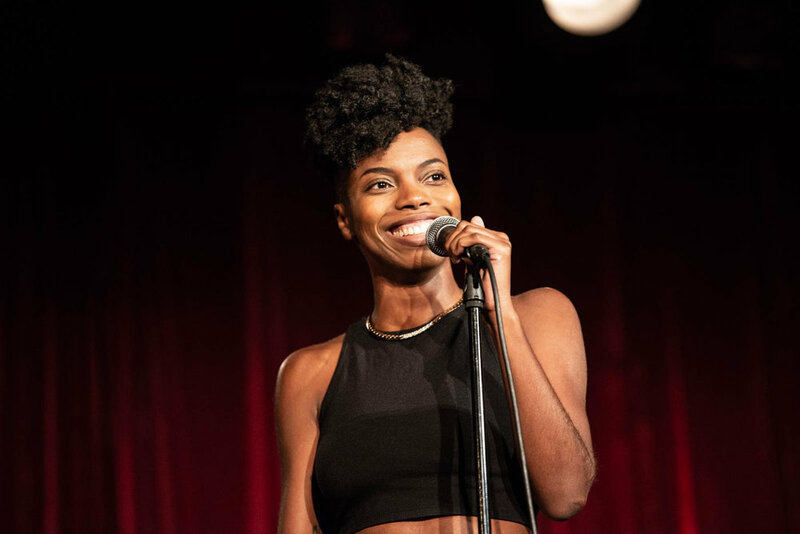 On Sunday, July 15, 2018, the final monthly Sasheer Zamata Party Time took place at The Bell House in Brooklyn, NY. The show featured sets by Emmy Blotnick ("The Late Show with Stephen Colbert"), Liza Treyger, and Wyatt Cenac. After the standup sets occurred, the performers joined Sasheer on stage to play a game, "Two Truths and a Lie," before a musical performance by Anya Marina. Sasheer is moving across the country to Los Angeles and stated she'll bring the show back to New York when she visits.